We undertake CNC punching for small and large quantity batches from steel and aluminium sheet upto 5mm thick. Our Shape Omega CNC punch press is equipped with full CAD/CAM support of job set up including automatic nesting of components for material use optimisation. A broad range of work can be carried out on the Shape Omega including enclosures, boxes and metalwork for large fabrications through to high volume bracketry and small fine limit precision components. 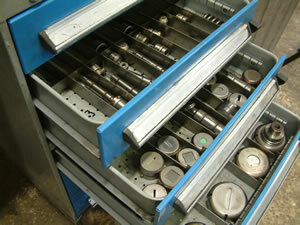 We hold a well maintained tool library using Wilson tooling for a superior finish. Flypress work can also be undertaken and we have a wide range of standard tooling. Our facility is equipped with a 6mm notcher for standard cuts into sheet and angle bar.